A rainy Saturday calls for a bit of a lazy day in my book, so naturally that means a more indulgent breakfast is called for as well. 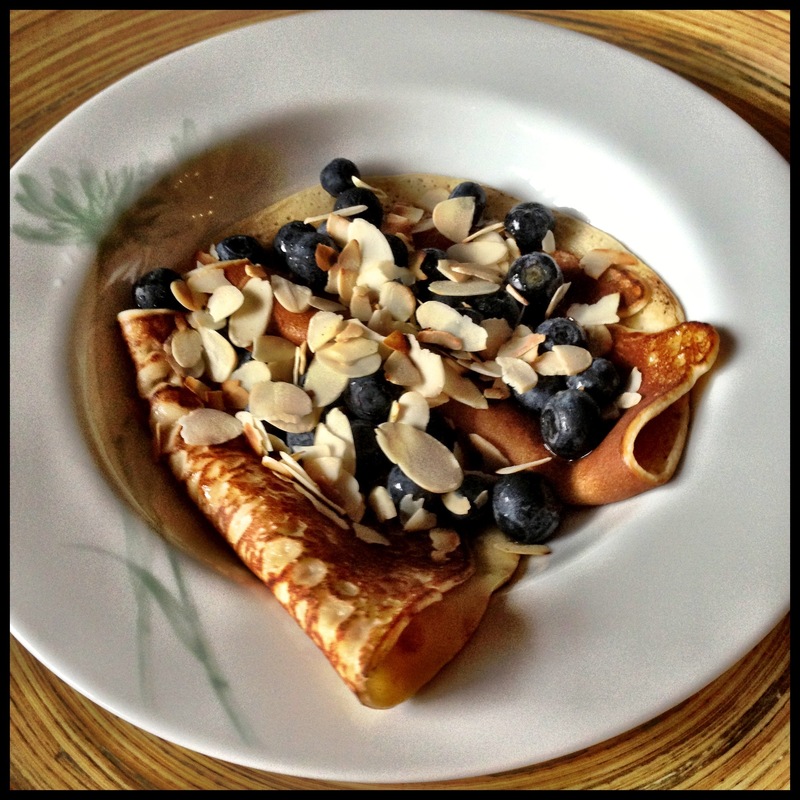 Feeling a little tired of eggs, this morning I decided to make a batch of crepes. I recall once reading about the addition of sparkling mineral water to a crepe batter. Unsure of the benefits exactly, I decided to experiment and give it a go, adding about half a cup to my crepe mix (I cut back on the milk accordingly). The verdict: Worth a try, the crepes were pretty darned good!